My life changed the day Lara came into it. No seriously. I had never entertained the idea of a business mentor. Now I look back and see just how much she has transformed and believed in me – how did I ever NOT have her? So, in true ‘Nat’ style – I wanted to feature her on the blog and since we were doing a series of segments, I thought – we just have to get Lara on set! 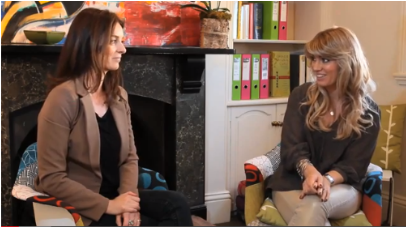 You’ll learn a few things today – Lara loves to talk ‘holistic business’ and she gets it. How what you focus on expands – so in business if there is never enough money or time or whatever, if we continue to focus on the problem, it snowballs. They key is shifting our thoughts. You can find Lara through her website – Self Leaders Inc, or through Facebook. I honestly can’t tell you how much she has changed not only my business but me as a person. I’m forever grateful. NOW… Lara has something HUGE she wants to share with you today (along side her being gangbuster awesome). Announcing You I.N.C., a Network for Self Leaders giving you the opportunity to participate in a 12-month journey, leading you to your personal GREATNESS – creating the life you love. Whether you strive for greatness for personal, professional or business reasons this is for you! This program will empower you as the powerful CREATOR of your life experiences. It will awaken who you truly are and put you in the driver’s seat of life. This journey will transform you from the inside out! Join in my two-hour FREE intro event 9th Sept 2013 at 6-8pm in Albert Park.